Communicate with, cooperate with and support as appropriate, government agencies, private or public organizations and individuals with objectives similar to the Alki Community Council. Reflect the views and concerns of residents. A membership in the Alki Community Council gives you the opportunity to make official MOTIONS and VOTE at Alki Community Council Meetings. 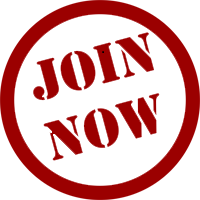 Alki Community Membership Secretary or call at 206-938-0887. One membership entitles you to one vote! Many of our members have one membership per household with one representative voting. If you’d like more than one vote per household, additional memberships are required.